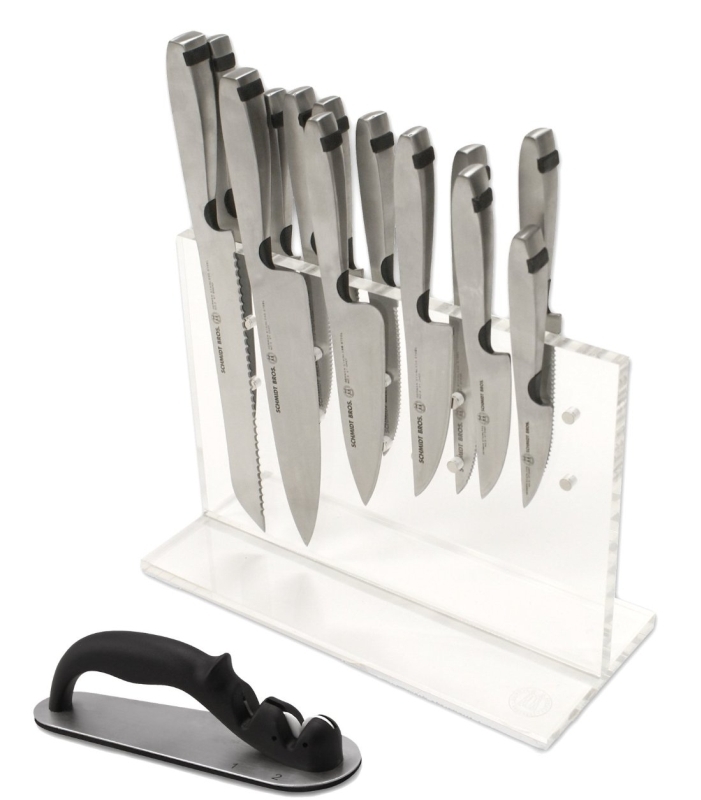 The Schmidt Brothers Steel Cut knife is 100% German Stainless Steel from blade to handle. Creating a fully balanced, rust and stain resistant knife. Each knife also includes three design innovations; the patented Schmidt Brothers Curve, so your forefinger can guide the blade with greater precision and control.